Still looking for that something special for your someone special? Then look no further - Barossa Distilling Company at Provenance Barossa has you covered. 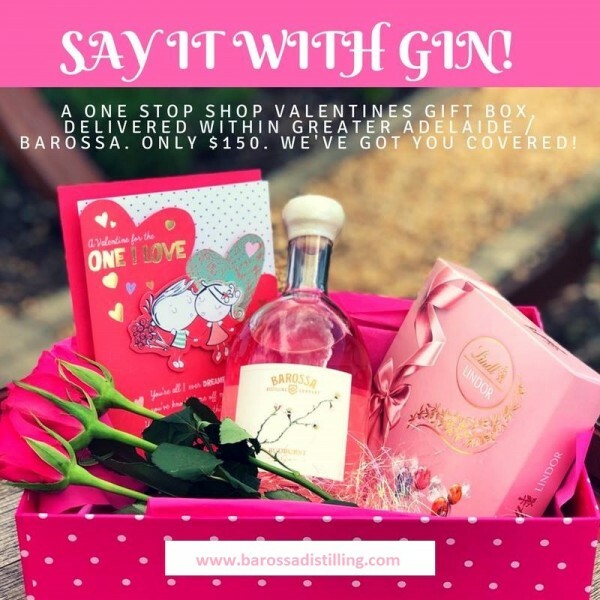 Their Valentines Gift Box includes Budburst gin (700ml Bottle), Lindt chocolates, card (they can write a message in it for you), fresh roses and heart-shaped chocolates, all wrapped up and ready to go! Adelaide-wide metro orders close tonight at 5pm, and the Barossa Area close tomorrow at 5pm!